A new fall season means my booties are ready to be taken out from the back of the closet. I'm so excited to trade in my sandals for some chic leather boots with a heel! While I still have some favorites from last year, it doesn't hurt to add to the collection! Here are a few of my favorites from Aldo, Frye, Vince Camuto and TOMS. 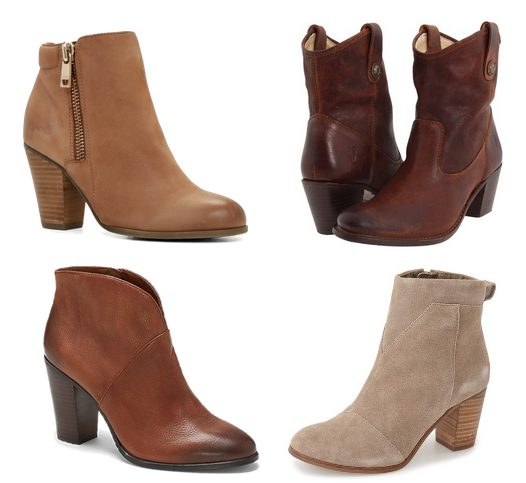 Do you have any favorite ankle booties for the upcoming fall season?